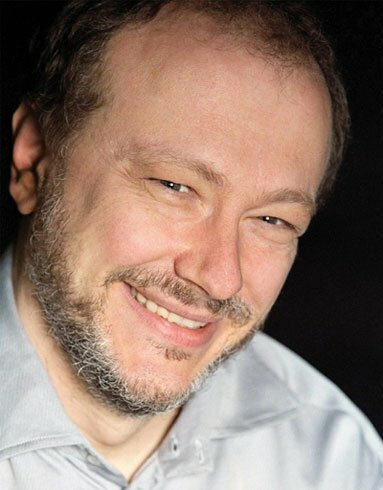 It’s unlikely that the Canadian-born Boston virtuoso pianist Marc-André Hamelin is really less concerned with being communicative and extroverted than most touring pianists. Yet much of his playing Saturday night at Rockport Music felt private, and rather stayed that way almost no matter what he did. There were jawdropping Cirque du Soleil moments as well, the impossible made graceful. The program began about as inauspiciously as it could, with a short unpublished John Field Andante. Exceedingly simple, beautifully played, either it showed that I wasn’t near to being in the mood, or it is almost entirely without interest, showing student charms only. Born midway between Beethoven and Schubert, Field was highly regarded (by Chopin, Liszt et alia) and influential (taught in Russia). From this slight late miniature it was not easy to see how or why. Hamelin also composes, with idiom and humor. His Pavane Variee, based on a 16th-century processional dance of Thoinot Arbeau, overflows with white-key (so it seemed, anyway) harmonic noodles infused with spicy secret sauces. Hamelin cocktailed and eventually La Valsed it up wonderfully (I see we have gone from table to bar and dance floor); as the variations proceed, fistfuls of notes and sounds fly soon enough, finally resolving to quietude. All very deft and fluid. Debussy’s Images II exhibited extreme delicacy and softness, lightly colored; they drifted along without much forward motion, their washed ‘notiness’ presenting no challenge. I prefer this composer with less stasis but could hear why Hamelin is renowned for Debussy. Hamelin’s own comical Paganini Variations survey a range of compositional styles, making for a packed spectacle of sonic snippets, quotes, eruptions, and snatches recalling Beethoven to Bartok, Brahms to Ives and Nancarrow. The pianist’s hands practically karate-sawed the air. Wonderful stuff, brilliantly timed and dispatched. Like having a madman walk up behind you with his pet mockingbird, explained my date. The Four Schubert Impromptus D.935 got built from the inside out. For this second part of the program, the piano sounded louder and fuller and more integrated, even as privacy still held sway and presentation and momentum remained of secondary significance. Hamelin did not have Schubert sing over accompaniment; most parts were of equal engagement and at equal level. The first Impromptu I found swoony and a touch thick, with a fair amount of lingering and perhaps insufficient emphasis. But the second stopped time with its sad stillnesses, bringing the hall to a halt. The third, theme and variations, was expertly inflected, pearly up and down, front to back, side to side, and the touch of lurching, even effort, could pass unnoticed. The last featured offbeat, strange Schubert, also in perfection. Most of this program may be heard online, so you can judge for yourself how unusual the mix of Hamelin’s characteristics is. Maybe the penchant for contemplation is somehow connected to having had a world-class technique. At recital end the artist did not look completely pleased. But as now seems to be the rule, the encores were relaxed as could be. Debussy’s Images I/1 shimmered on the water, crosshand arpeggios floating, and Earl Wild’s high-wire, sixlet-saturated Virtuoso Etude after Gershwin’s “Liza” lightly closed this delicate, somewhat interior musical experience.